We already warned you not to download iOS 8 on your old iPhone 4s, but it looks like you may want to hold off an Apple's update for newer devices as well if you haven't upgraded already. Complaints are flooding Apple's online forums as people report that the new software is slowing down iPhones and iPads, cutting down on battery life, hurting Wi-Fi speeds and more. A number of people have complained that Wi-Fi speeds took a hit after downloading iOS 8, even on the iPhone 5s, iPad Air and iPad mini with Retina. That's a particularly big problem for anyone who opted for a Wi-Fi only iPad, though it's still pretty annoying even if you also have a data plan for your device. iOS 8 is also apparently slowing down Apple devices overall, even the iPad Air and iPhone 5s with their 64-bit processors. One person claimed his iPhone 5s was overheating and apps were crashing, while another said the same thing had started to happen on the iPad Air. Another huge issue is battery life, which already wasn't great for most iPhone models. One person claims they're only getting a few hours of use after updating to iOS 8. Thankfully the new operating system now lets you see which apps are using up the most battery, which should help solve the issue a bit. Other problems include iMessage, which is no longer working for some people. 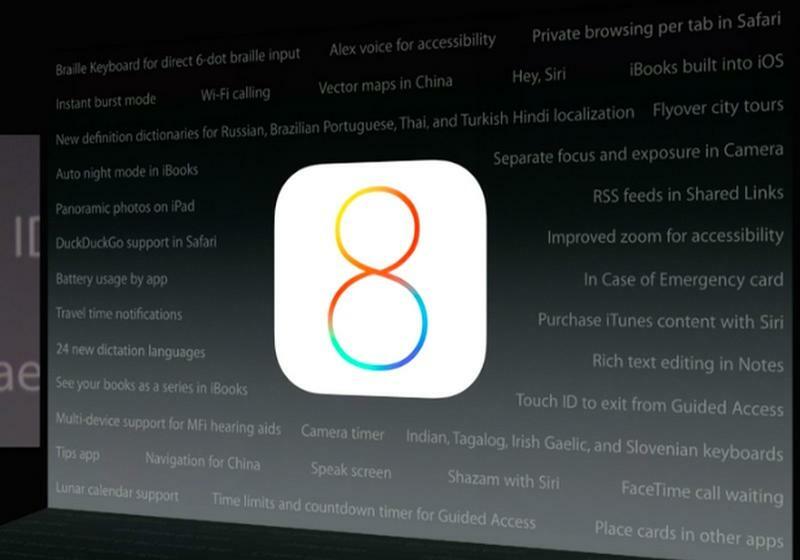 While others are reporting issues with sound disappearing in some apps thanks to iOS 8. Personally we haven't had any major issues, but we're not too surprised that some folks may not be having the best experience, at least considering how massive Apple's latest iOS update really is. We're sure Apple will push out a fix pretty soon, but for now you might be better of sticking with iOS 7.